Excellent location with entrance and road frontage on highly travelled Marsh Road (Rt. 17) with banks, restaurants and shopping center nearby. 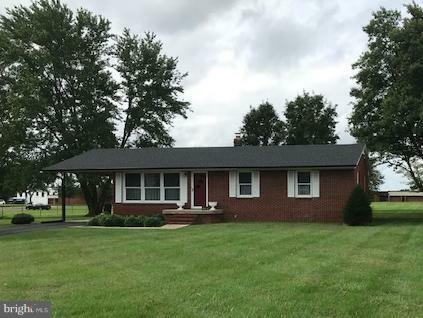 Very nice all brick rambler on 1.56 acre lot that is zoned planned commercial. Home is on public sewer and well, but has public water at the lot line. Offers tons of possibilities! Listed by Charles S Ebbets of Long & Foster Real Estate, Inc.
DirectionsWARRENTON: 17 SOUTH TO BEALETON, CROSS OVER ROUTE 28 AND PROPERTY IS ON THE RIGHT IN FRONT OF CEDAR LEE MIDDLE SCHOOL.